New Yorkers, it’s time to pay attention. Today, AT&T announced a new pilot program that is set to begin in New York City called, Street Charge. 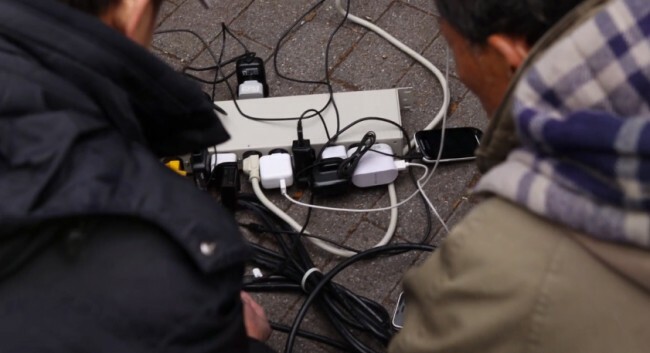 Throughout the city, primarily in parks and other friendly places, solar-powered charging stations can be found for mobile phone users who are in need of some juice. The idea is to help those in need with a renewable and innovative solution, as well as to allow people to connect through a common frustration. More info on the program can be found in the video below. On a personal note, this just seems like a dangerous idea. Be aware of your surroundings, folks.